Using the quantum approach to the subject of atomic physics, this text keeps the mathematics to the minimum needed for a clear and comprehensive understanding of the material. 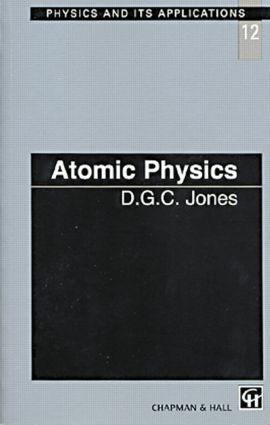 Beginning with an introduction and treatment of atomic structure, the book goes on to deal with quantum mechanics, atomic spectra and the theory of interaction between atoms and radiation. Continuing to more complex atoms and atomic structure in general, the book concludes with a treatment of quantum optics. Appendices deal with Rutherford scattering, calculation of spin-orbit energy, derivation of the Einstein B coefficient, the Pauli Exclusion Principle and the derivation of eigenstates in helium. The book should be of interest to undergraduate physics students at intermediate and advanced level and also to those on materials science and chemistry courses.